Tomorrow, Xabi Alonso will play the final game of his outstanding career, and as a result, his former midfield partner Steven Gerrard has paid tribute. Our legendary former skipper sent a video message to FC Bayern TV, praising Alonso for his superb career, admitting he’s jealous of the Spaniard’s titles and claiming that it ‘broke his heart’ when Real Madrid bought him from Liverpool in 2009. 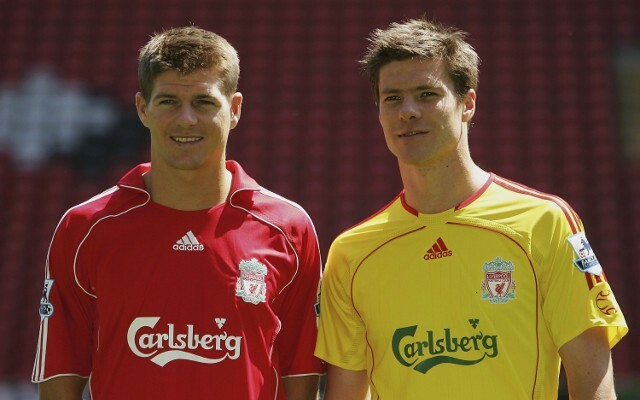 Hopefully one day we’ll have central midfielders who lace the boots of Stevie and Xabi. ‘When you left, it broke my heart’ ?